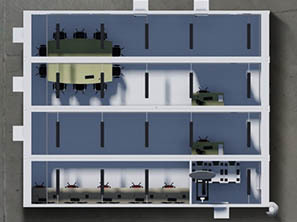 Unique fully integrated and modular sensor and protection system, with supreme versatility which supports detection of intrusion and response management. Border Watch consists of one or more Automated Sensor Points (ASPs) that use radar to identify potential intruders up to 10km away and to alert remote operators as well as high specification day and night cameras to support more detailed identification of the potential threats. 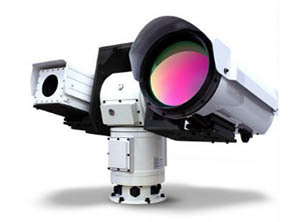 The central system operator is provided with the ability to track, mark and focus the attached cameras on any activity. 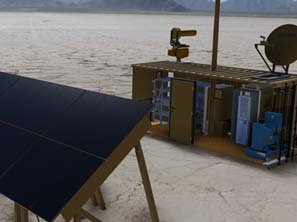 ASPs are powered, as standard, by solar panels and are armoured against small arms fire (e.g. handgun at 5m) and from fragmentation following a close miss from grenades, mortars etc. 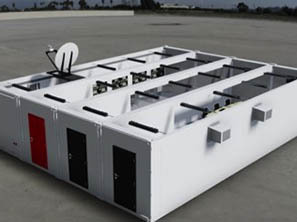 Border Watch’s anti-UAS system counters these threats by denying control of the drone to its controller thus protecting population and facilities including Border Watch modules themselves from an ever-increasing threat. In a world where such attacks are increasing, this capability is essential to maintain the availability of the ASPs themselves as well as providing protection for the Border itself from Drone intrusion. Border Command provides the infrastructure to support the border security staffs in the operation of both Border Watch and the tasking of response units. Border Command consists of one or more self-sufficient Command HQ facilities containing the encrypted communications links to Border Watch using a variety of solutions including line of sight fibre optic satellite and broadband. An IT solution providing Authentication, email and OA software, as well as the Border Watch management software and Command and Control facilities is included. These facilities ensure the commander has full visibility of the current tasking for any intrusion incident. These facilities are scalable to meet your specific needs and can be arranged to replicate your command and control structure. 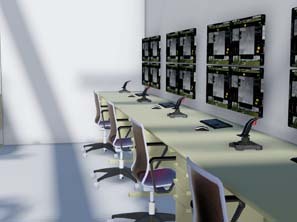 Each HQ can operate independently in the temporary absence of a network. 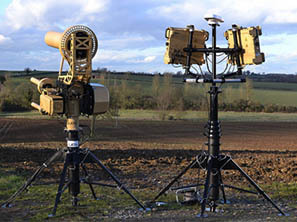 Border Command HQs are designed to control sectors of a border and coordinate with each other to provide continuous monitoring of any threat. 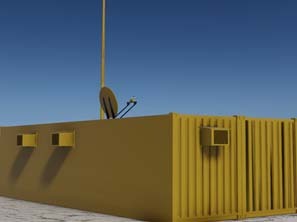 Autonomous multi-medium communications relay providing Fibre Optic, Point to Point Radio, Satellite and cellular capability. These modules enable the creation of a secure, resilient and flexible network between border watch and border command modules.